Neal Cung joined the LSO team in May 2016 bringing more than 30 years of executive and applied experience to the role. Mr. Cung oversees LSO’s technology with expertise in delivering customer solutions, strategic planning, project and operations management, technology and infrastructure development, compliance and accountability, and customer focus. 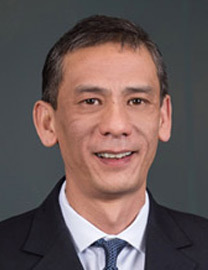 Prior to his role at LSO, Cung served as the CTO for MyUS.com in Sarasota, FL servicing over 300,000 customers across the globe with package consolidation services. Neal's extensive professional portfolio also includes positions as managing director of NLN Consulting, LLC in Atlanta, Georgia, Chief Information Officer with Prommis Solutions, LLC; Vice President, Information Technology at SmartMail, LLC; Vice President of Information Technology services at American Intercontinental University; and President of InfiNet Technologies, Inc. Neal holds a Bachelor of Business Administration degree in Computer Information Systems from Georgia State University.